Wayanad, a rural district in Kerala is one among the 20 Lok Sabha constituencies in the state. The region which shares borders with Karnataka and Tamil Nadu has been a Congress stronghold. It is famous for its lush green cover, wildlife and is a major tourist spot in the state. 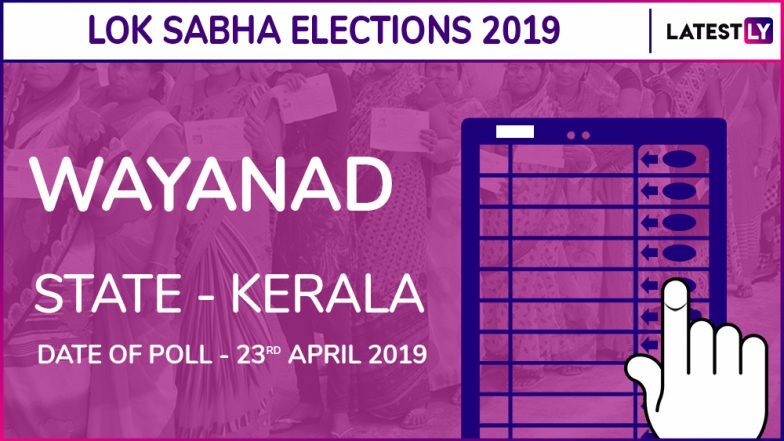 Kerala will vote in the Lok Sabha Elections 2019 in a single phase on April 23. Wayanad constituency was formed in 2008 following fresh delimitation of seats. The seat has been lying vacant since last year following the MP's death. Wayanad Lok Sabha constituency comprises of seven assembly segments including Balusseri (SC), Elathur, Kozhikode, North Mananthavady (ST), Sulthan Bathery (ST), Kalpetta, Thiruvambady, Eranad, Nilambur and Wandoor (SC). The constituency number of Wayanad is 4. Wayanad has grabbed national attention after Congress nominated its national president Rahul Gandhi from the district. The Congress chief is currently the Lok Sabha member from Amethi. Meanwhile, CPI's P P Suneer, who was the former district secretary of the party in Malappuram is the Left's candidate in Wayanad. The BJP extended support to Thushar Vellappally of Bharath Dharma Jana Sena. Check Full Schedule of Lok Sabha Elections 2019. MI Shanavas from the Congress party won the 2009 elections and 2014 Lok Sabha elections. Shanavas died in 2018 and the seat has been lying vacant since then. Meanwhile, CPI state secretary Kanam Rajendran said their party candidate would not be withdrawn. The Lok Sabha elections 2019 is scheduled to be held in seven phases in India. The voting will be held across India between April 11 and May 19. Kerala will vote in a single phase on April 23. Voting will be held for 115 Lok Sabha constituencies in 14 states in the third phase. The counting of votes will be held and results will be declared on May 23.